With “Dieselgate” Volkswagen has the unique chance to win very loyal customers. It is scientifically proven that unsatisfied customers will be loyal customers if you can make them happy again. They are even more loyal than customers which have never been dissatisfied by a company. 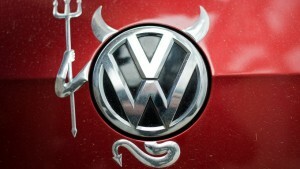 But at the moment it does not look like Volkswagen wants to catch this chance. Instead they treat their customers in the U.S.A. different then their customers in Europe. From a legal point of view this is understandable but from a marketing point of view this is an ultimate MCA. In the study from “Zentrums für empirische Kommunikationsforschung (ZEK) and the study programme Industries at the DHBW Ravensburg” you can recognize that wrong communication led to a loss of trust. It would have been good to get customer feedback in advance and then satisfy the customers according to the results. On the website from Horizont.de you find an extract of the study.